Join us on our trips through the Baa Atoll where we can spend all day at the most beautiful reefs, which we would not be able to reach on just a single snorkeling trip. Go for a picnic on a deserted island or a calm swim in the lagoon which will be days that you will never forget. During the summer from June to October, we will offer full day excursions to the world famous Hanifaru Bay in Baa Atoll! Joining this trip is a “must do”! An absolute “must do” when you are on Reethi Beach between June and November. 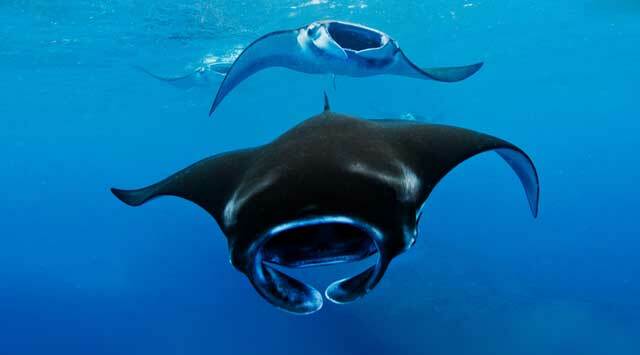 Hanifaru Bay is a sanctuary for people who love snorkeling with manta rays and whale sharks. This UNESCO biosphere reserve near Reethi Beach is legally designated as a Marine Protected Area. There are strict regulations in place to protect and preserve this amazing wonder.